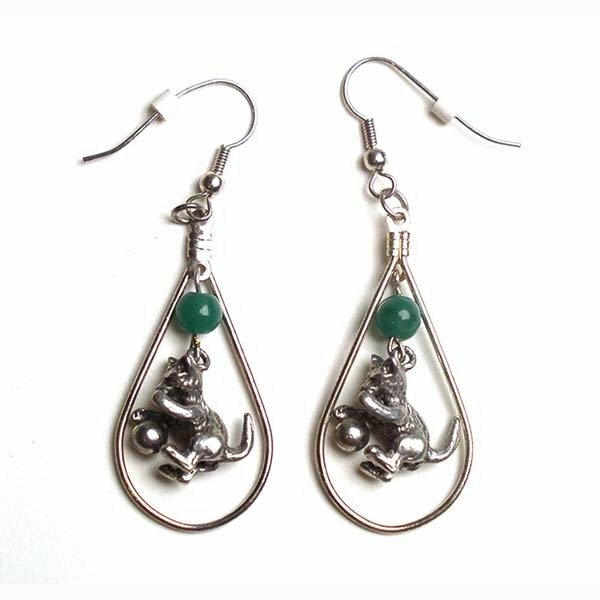 Show your love for active felines with these dangling earrings. Each setting holds a colorful glass bead and a kitty charm that will dazzle you from ear to ear! Hypoallergenic posts. Clasps are available upon request.